It was first announced to carry a price tag of RM2,199 in Malaysia. Now, for as low as RM1,299 (DiGi) or RM1,388 (Celcom) you can get to own this distinctively different tablet. The full functional S-pen (a stylus) brings back memories of the old smart phones and electronic organisers, PDA. 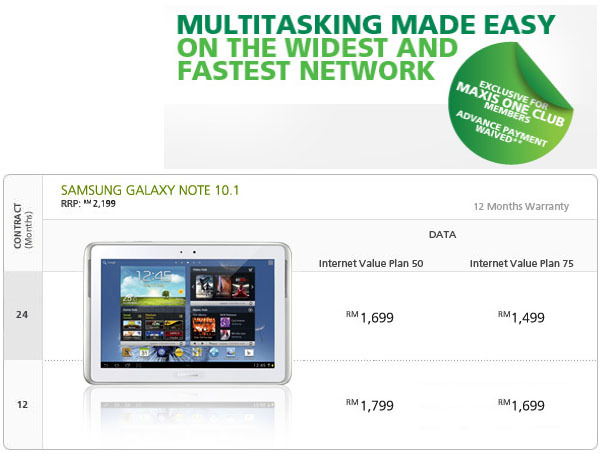 The three main telcos - DiGi, Maxis and Celcom - have announced their packages for the new tablet. The recommended retail price is RM2,199 and as usual you can purchase this at much reduced cost in a couple of months. You may want to check out what's in store for you at U Mobile if your area is covered by this service provider. I have used the services of all three telcos in the past for both my smart phones and tablet. 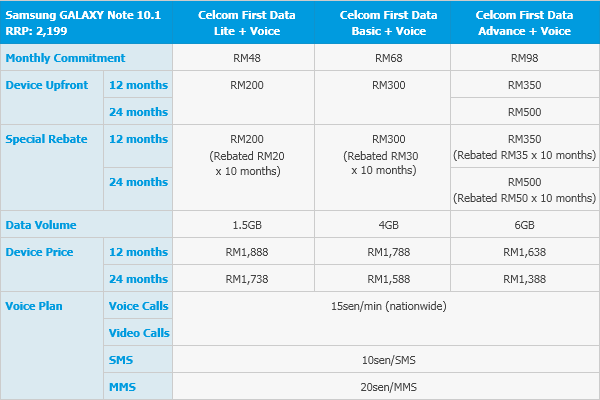 My personal experience is that, Maxis is quite conservative (read stingy) in allocating data for the same amount of money you pay compared to the other telcos. But they offer the fastest surfing experience, for now. Let's see if Celcom and DiGi buck up. I like Celcom in the sense that they provide the widest coverage and I can go practically everywhere and still get at least 1 or 2 bars of signal on my phone. Where is U-mobile? No better deal from them? In some other country we can get it free from the telco by signing a plan. 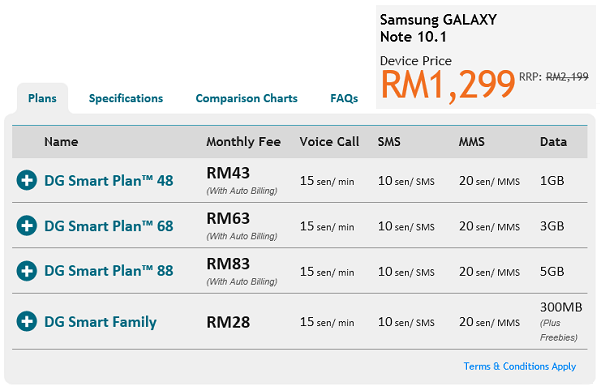 I checked at DiGi's website but they don't have any offer on Galaxy Note 10.1. They only have Galaxy Note and Galaxy Note 2. Or is it Galaxy Note 10.1 = Galaxy Note 2? 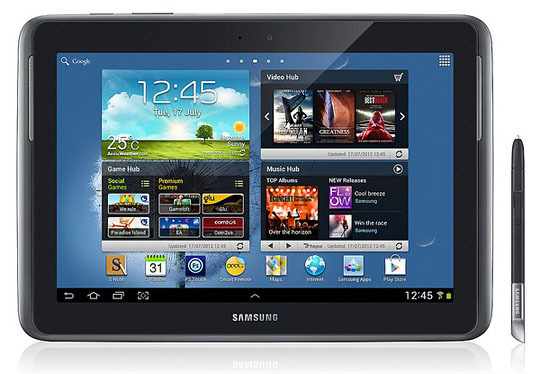 @Kamarul - the Note 10.1 is a tablet PC while Note & Note 2 are smartphones. On DiGi's homepage, navigate to bottom left of the page and locate "Most Popular Devices". Galaxy Note 10.1 is listed there.